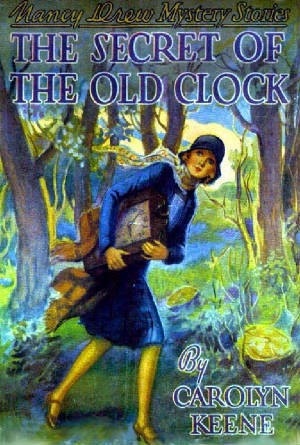 WHEN IS NANCY DREW NOT NANCY?! See Stardust on the Stage with Gene Autry with Currie’s Nancy joining a Jeff Drew and a Judy Drew. . . . Hmmmm?! Nancy plays the daughter of a man slain by a gang of bad guys. Maven has been lucky enough to get an interview with a gentleman, Rick Rogers, who was in the pilot to Pamel Sue Martin's Nancy Drew in the Drew/Hardy Boys Series (1977). Please check it out at MAGIC IN MOVIES! The newest incarnation of the 75+ year old detective . . . Julia Roberts' niece as the girl shamus! - A review of the movie by Jenn Fisher, an aficionado on Ms. Drew at www.nancydrewsleuth.com.
. . . it ain't knowable! 75 Years of Mystery Unfolds, Part 9: A Tribute to the Original "Caroly Keene"